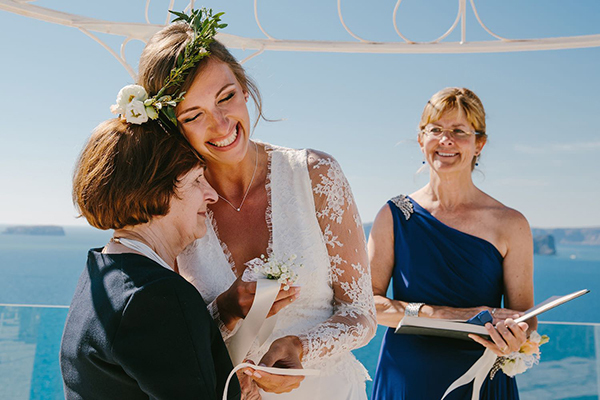 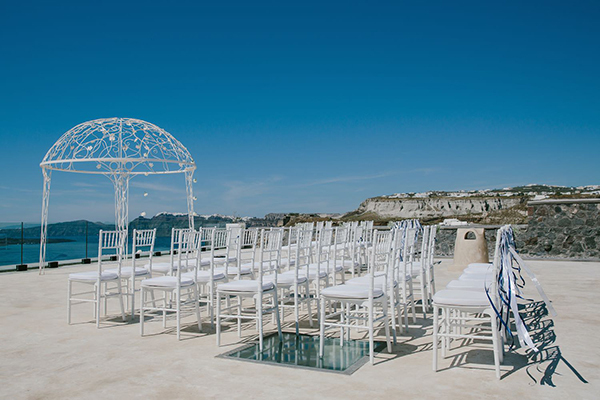 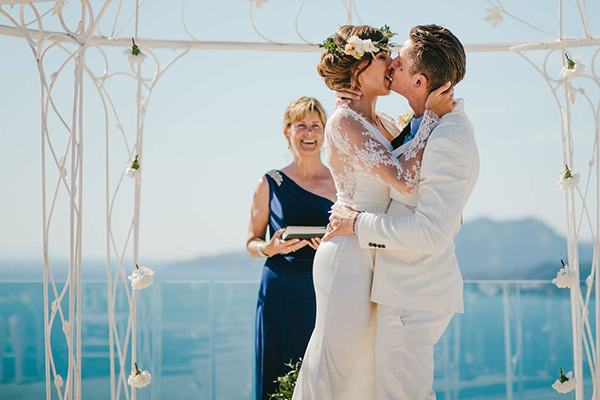 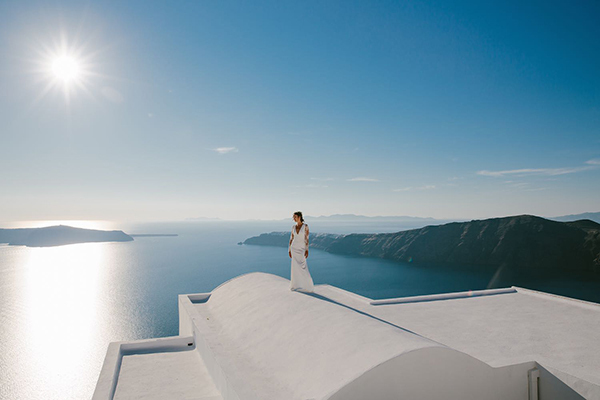 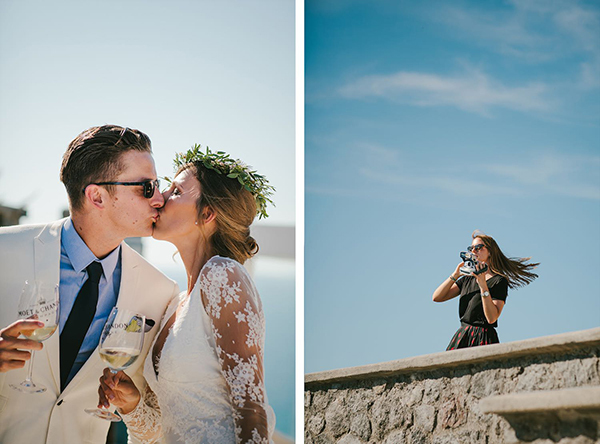 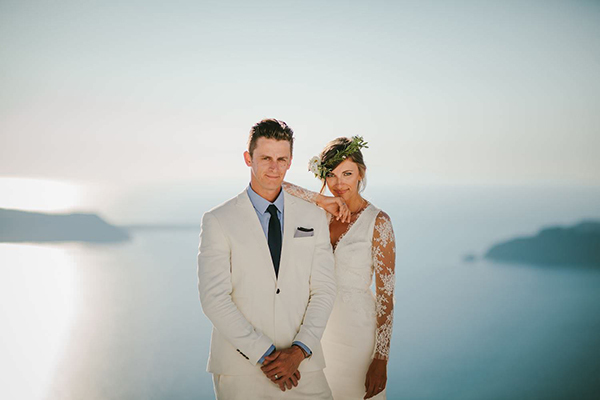 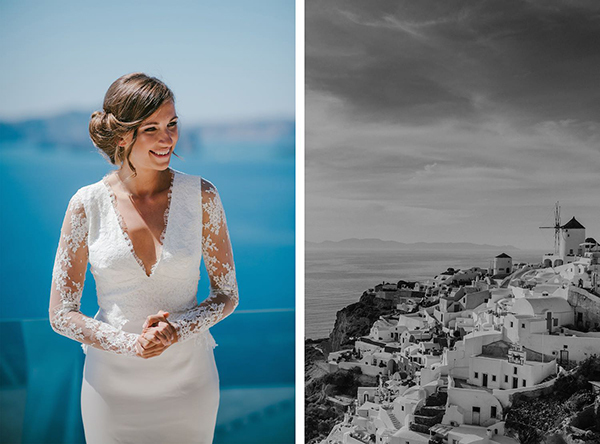 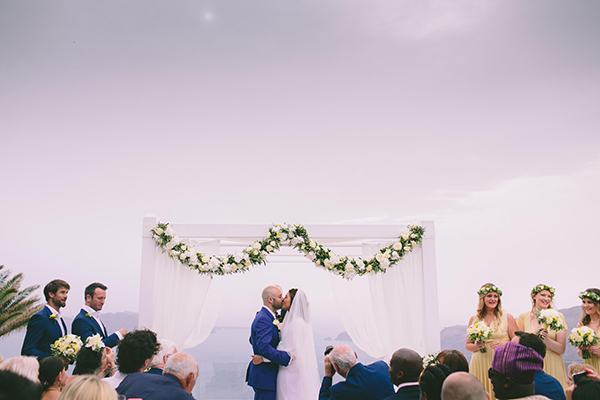 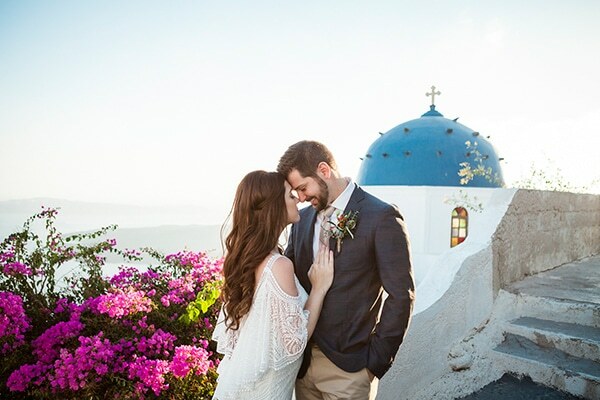 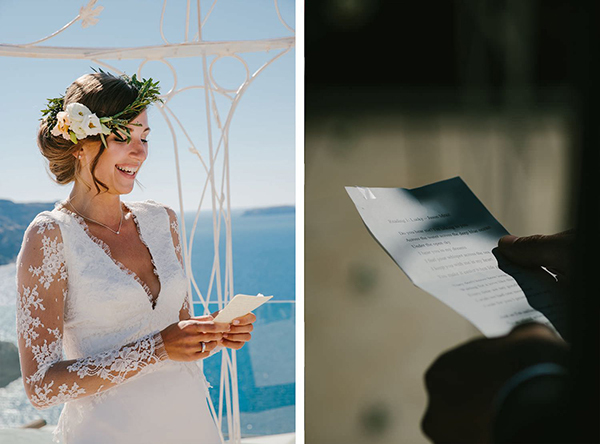 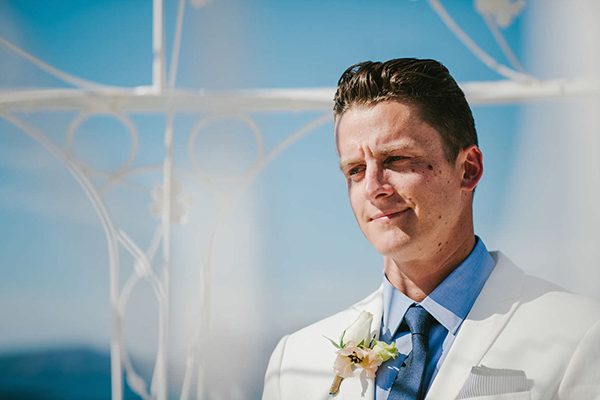 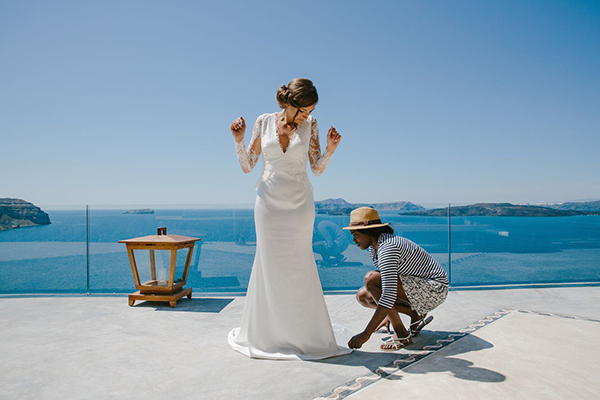 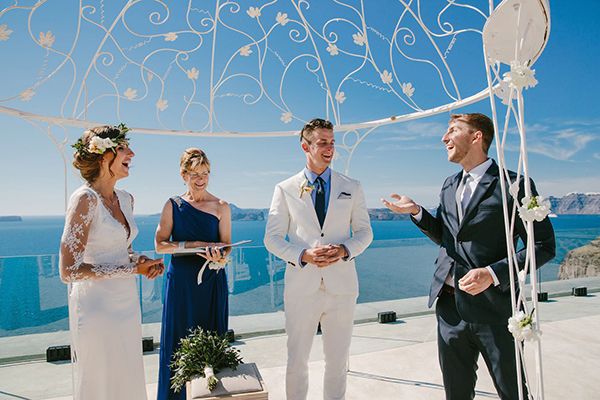 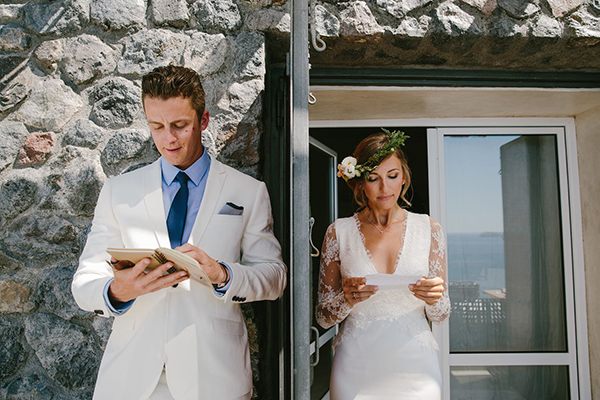 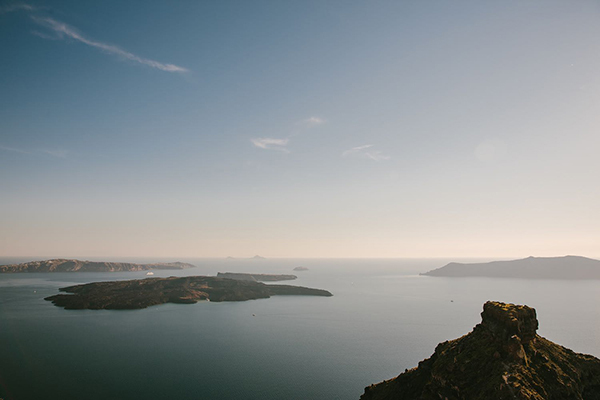 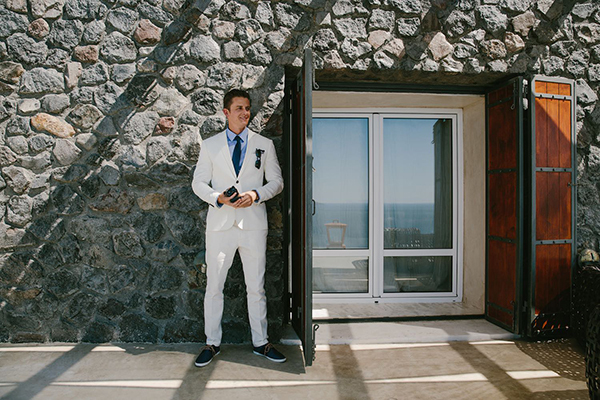 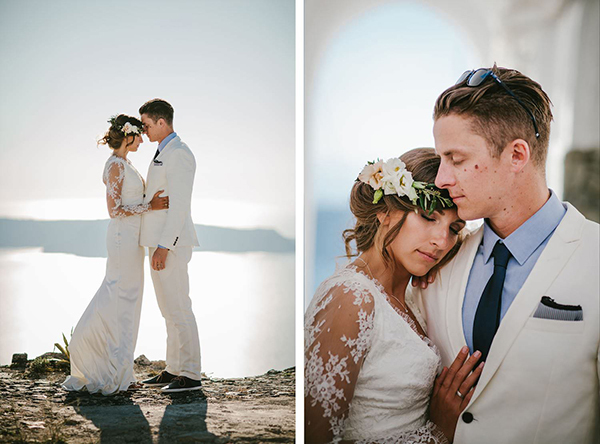 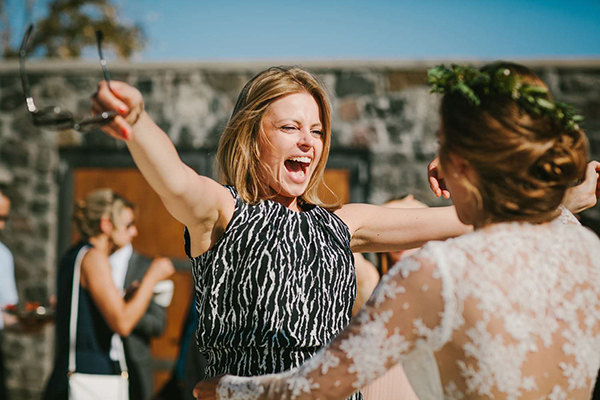 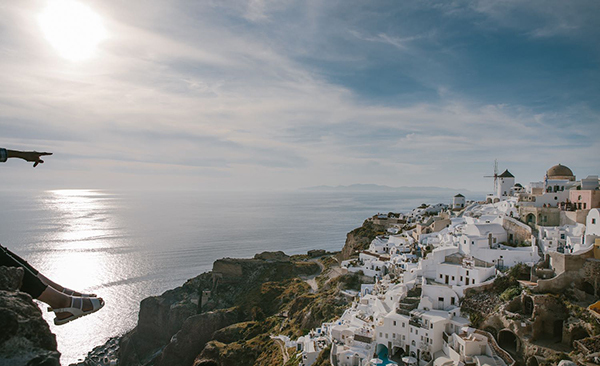 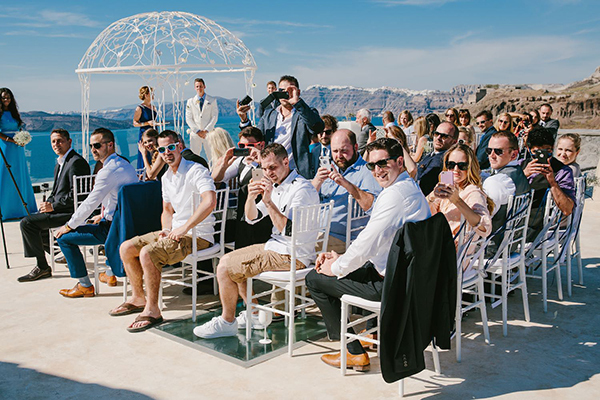 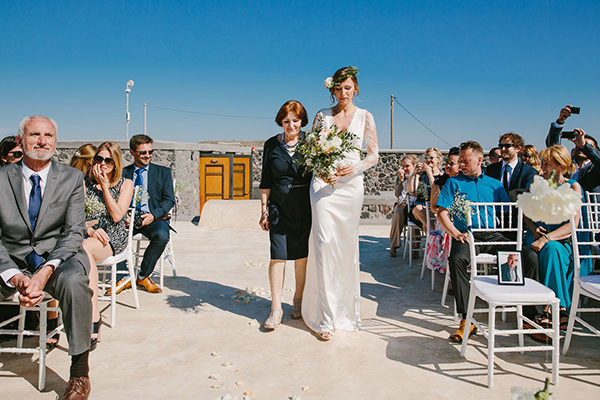 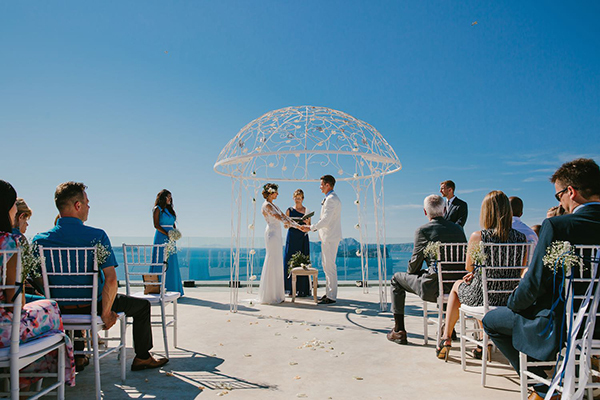 This lovely destination wedding is so fiercely beautiful that it has us dreaming of a vacation on the gorgeous Santorini island. 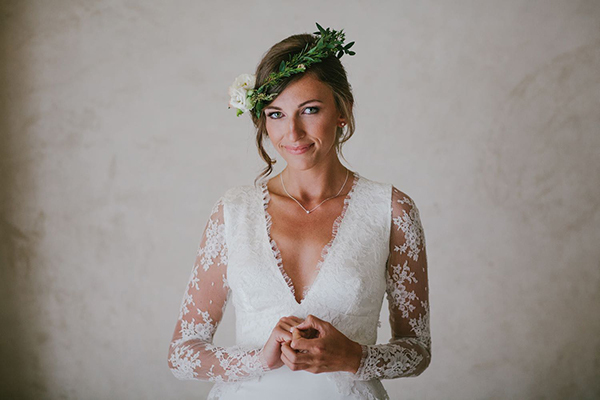 With boho chic (I just love the bride’s floral crown!) 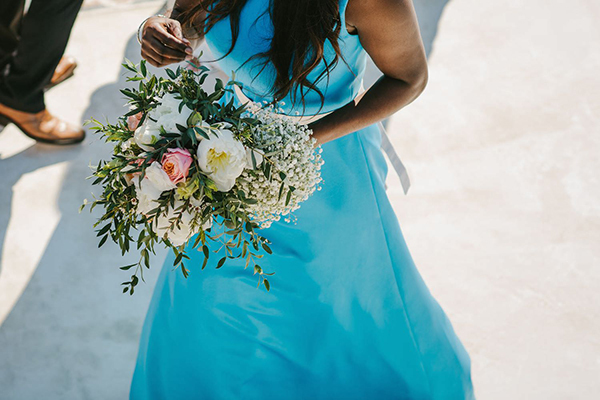 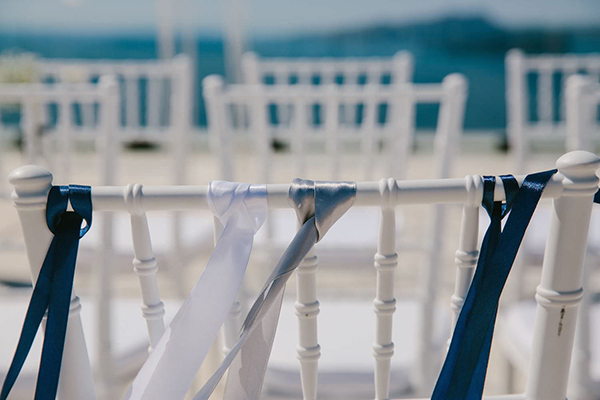 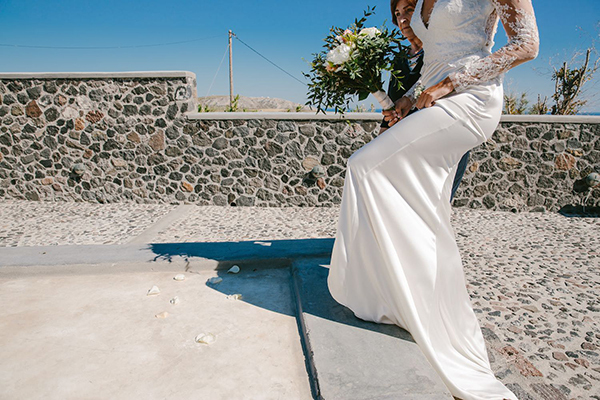 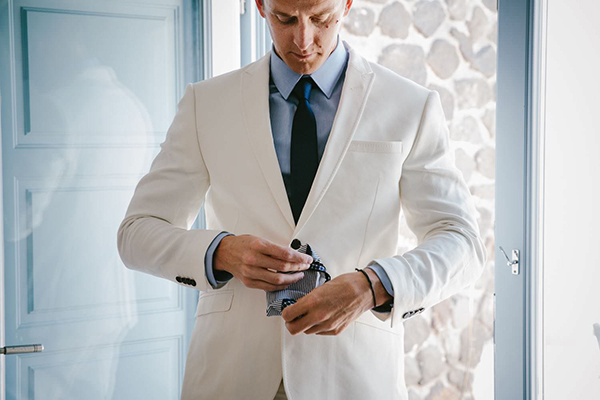 and DYI details this Greek island wedding captured by Theodoros Chliapas will certainly brighten your day! 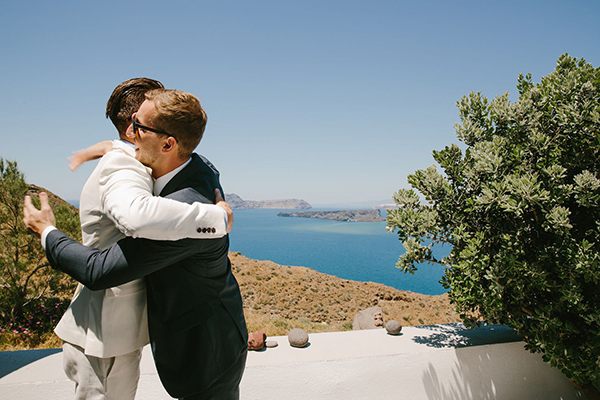 “We met 12 years ago in High School when I was an exchange student in the US. 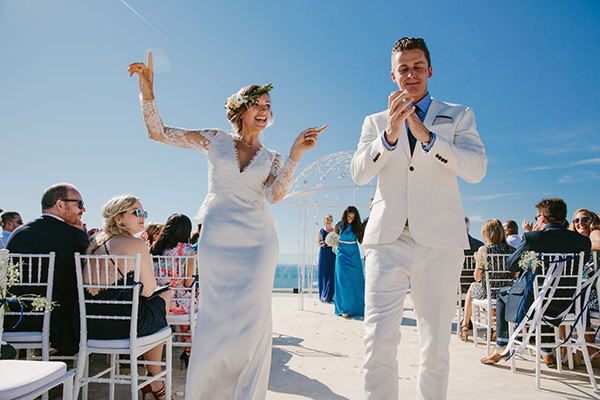 We didn’t start dating until 5 years later when I came back for vacation and fell in love dancing the night away at a friends wedding. 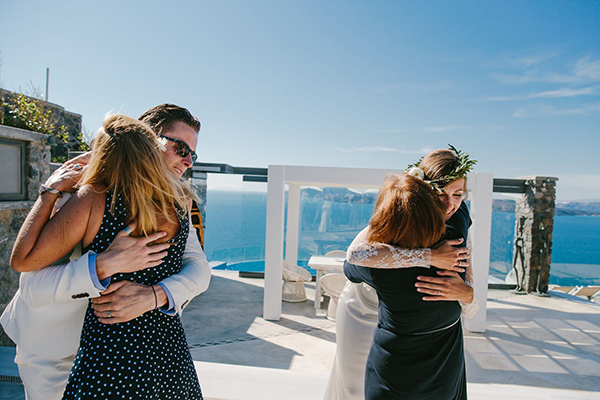 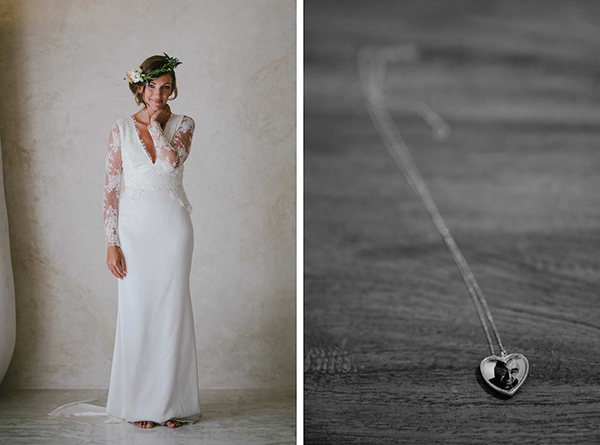 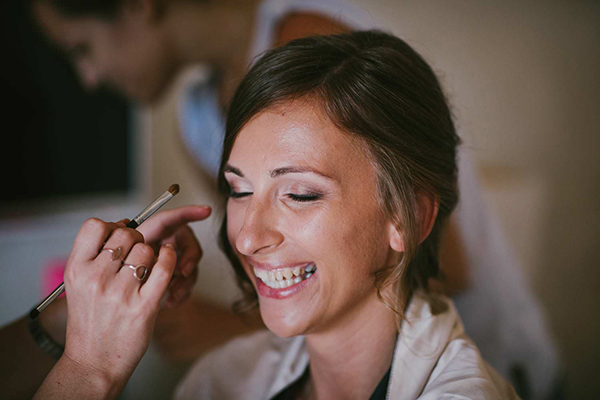 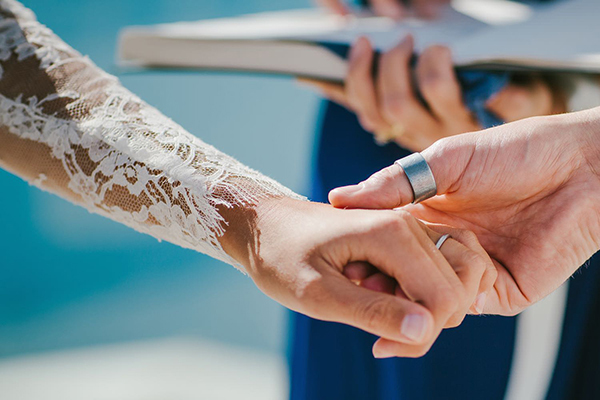 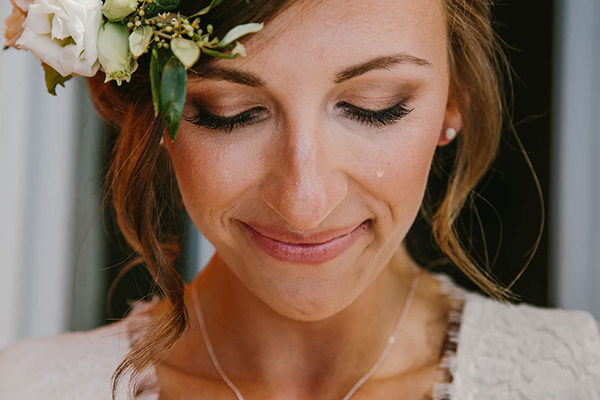 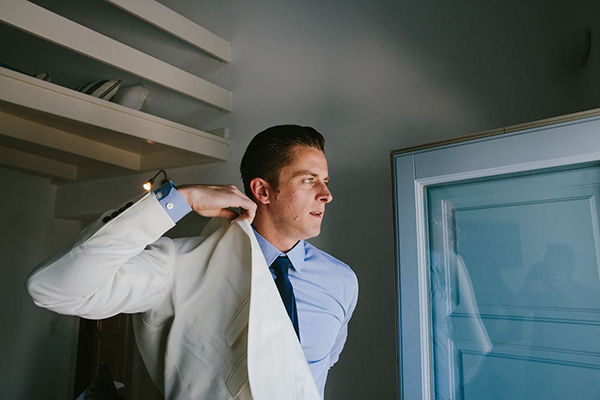 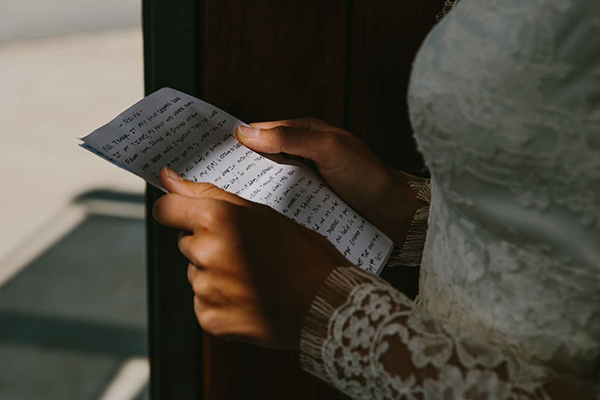 That was the start of the 7 years of long distance that was to come…”, the bride shared with us. 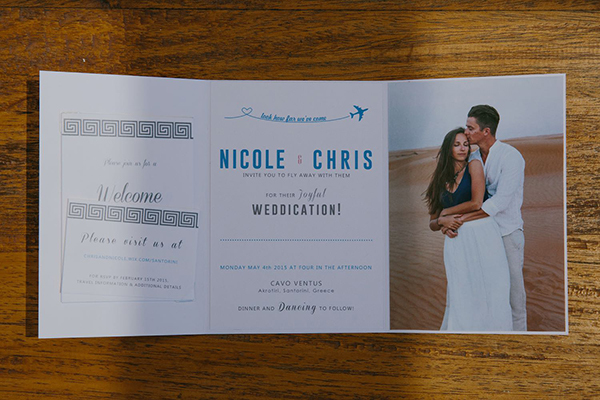 “We were on vacation on a tiny island of India when Chris wanted to go for a walk by the beach. 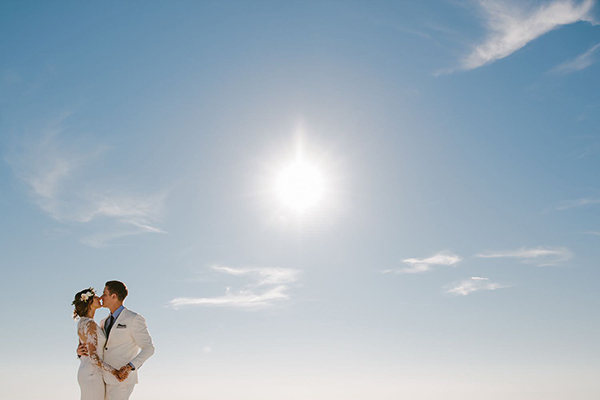 As we were walking under the full moon, he stopped, knelt down and asked me to be his forever. 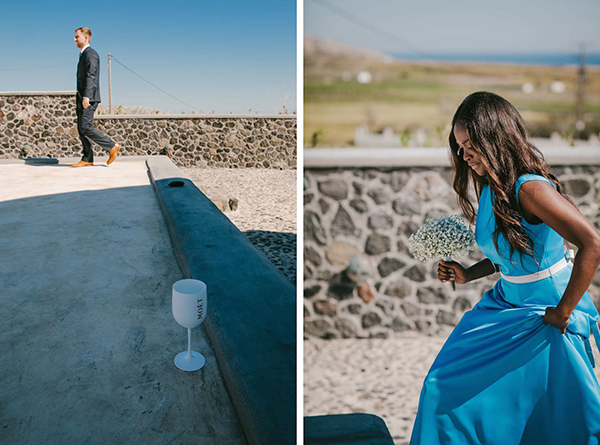 As I said yes, he got up, spun me around and yelled “we are engaged!!!”. 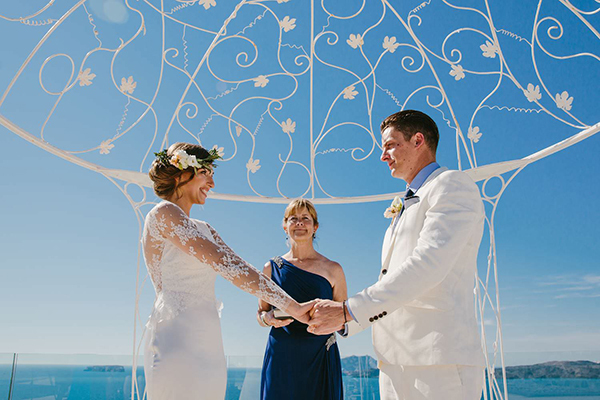 We laughed, we cried – it was magical”.